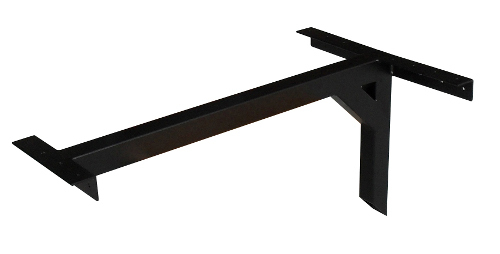 Cantilever style commercial grade wall mount table base. This style of base is highly reccomended for booth seating. It allows for guests to get "in & out" of the booth with ease. An extra benefit of the base is cleaning under the table is much easier than with standard bases. For Longer Tables add the "pin leg" add on.